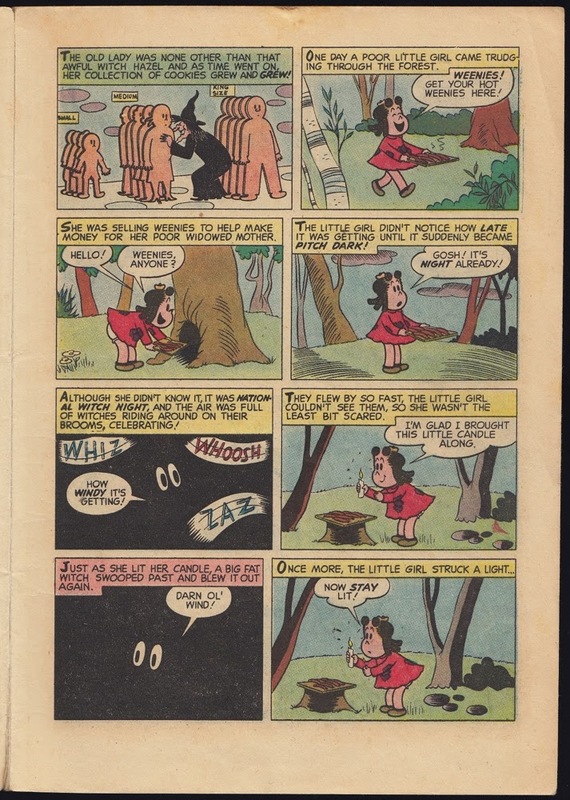 I loved the Little Lulu and Tubby comics when I was a kid. 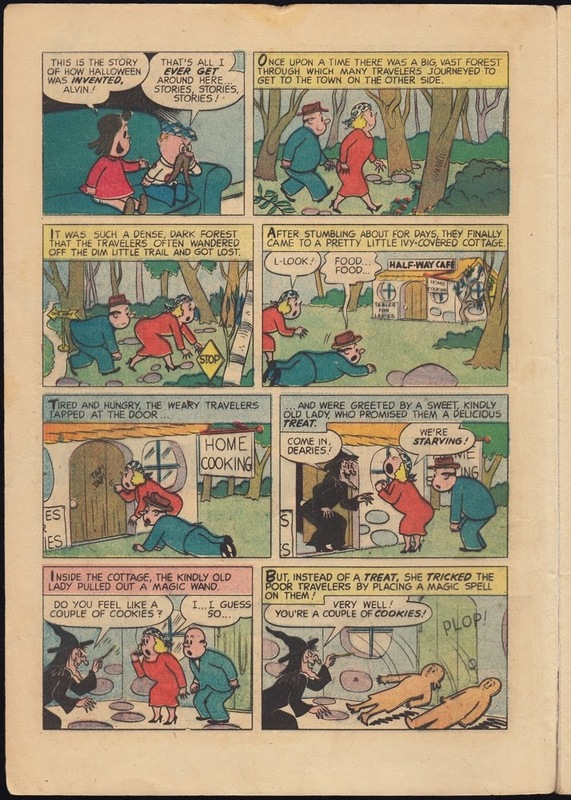 This comic was one of my childhood comics that I have kept all these years. 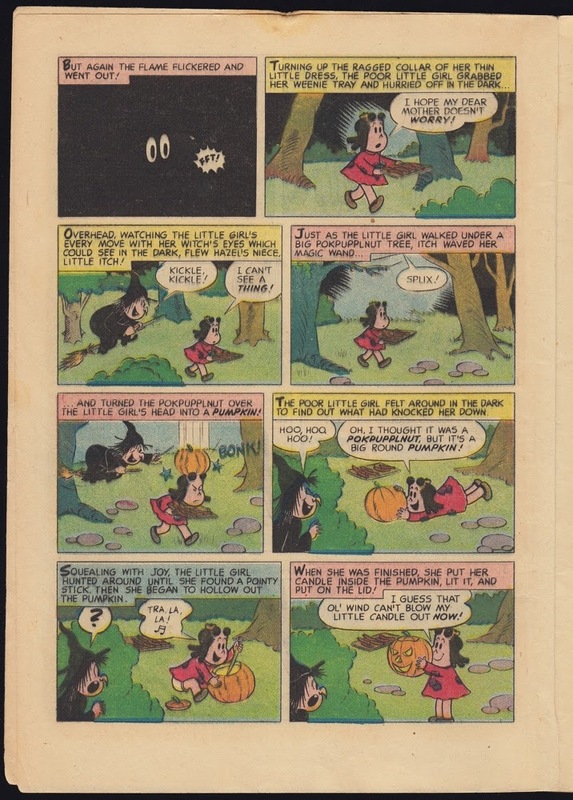 I have another Little Lulu Hallowe'en comic from way back then as well but that will be another blog post. 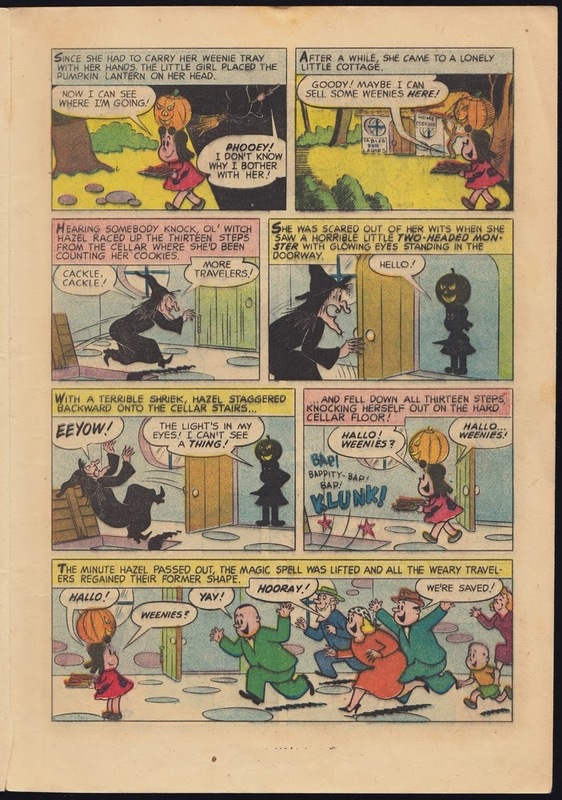 I have scanned one story from the comic, Lulu's account of how Hallowe'en was invented, enjoy it. 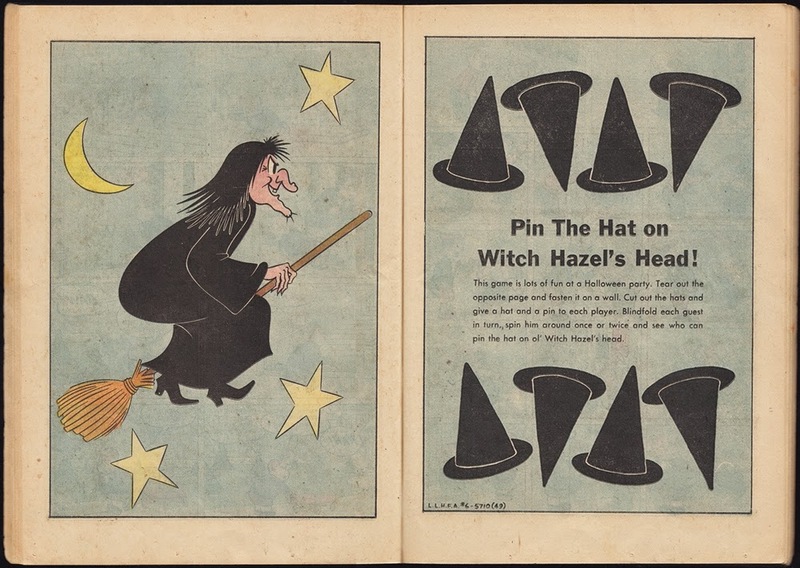 Pin the hat on Witch Hazel's head, you can hear muffled ouches as you miss her head. 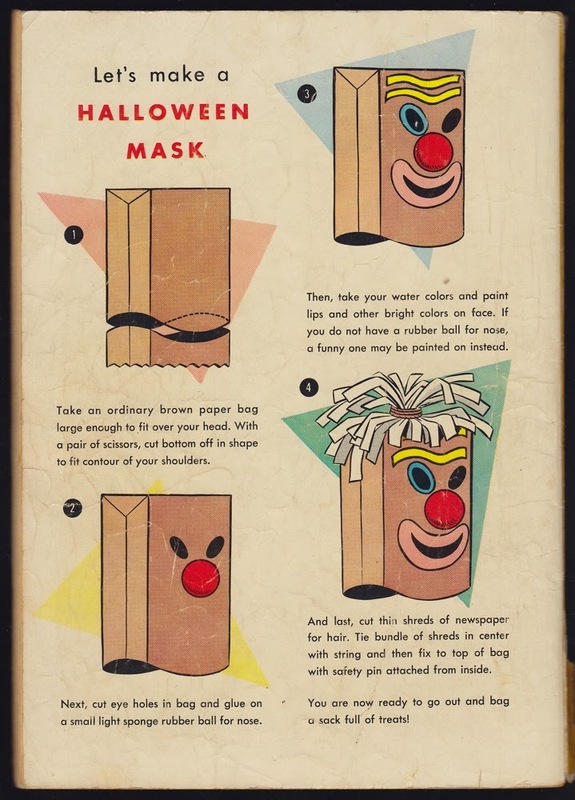 The back cover has step by step instructions for making a paper bag mask. 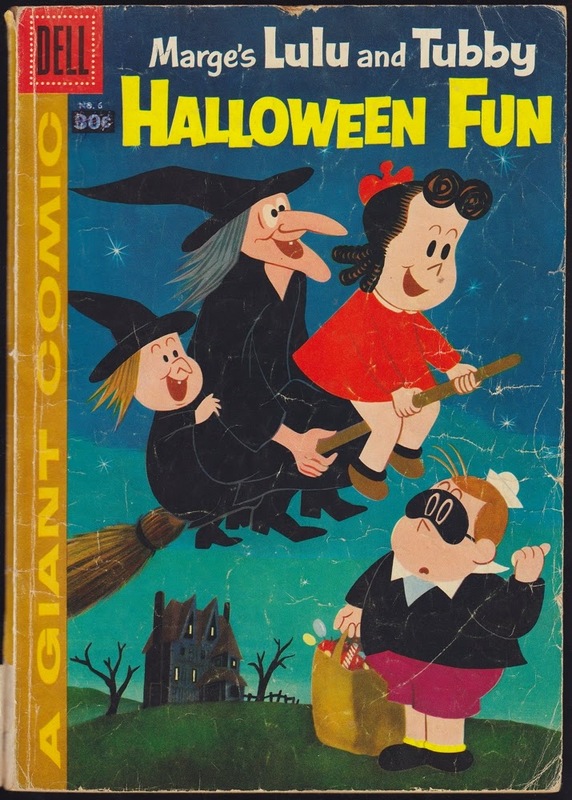 Thank you so much for sharing this blast from my childhood. 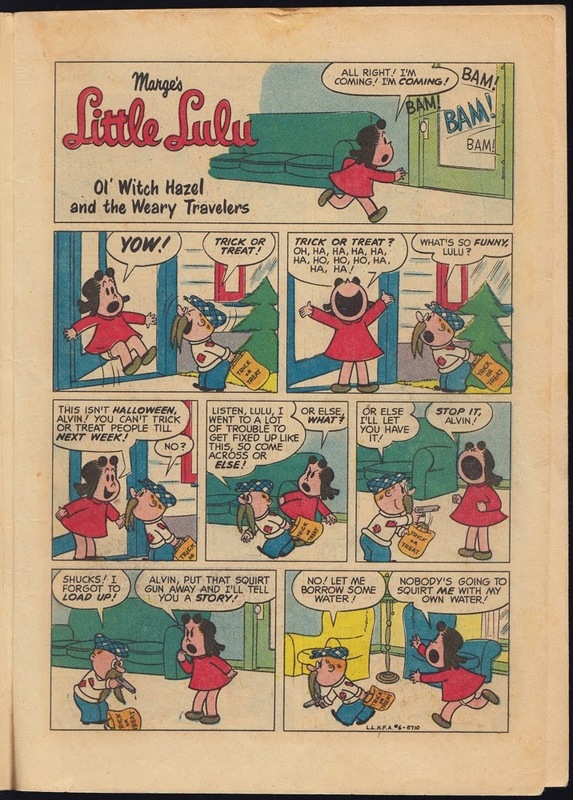 Lulu was a favorite of mine as well. 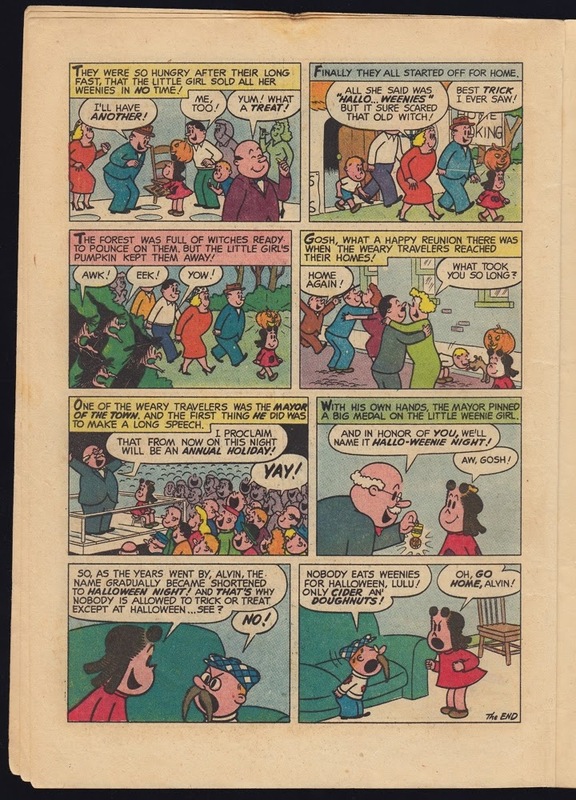 Buying a comic book was a treat.